Další freebie ve spolupráci se Zalinkou, tentokrát s motivem magnolie. 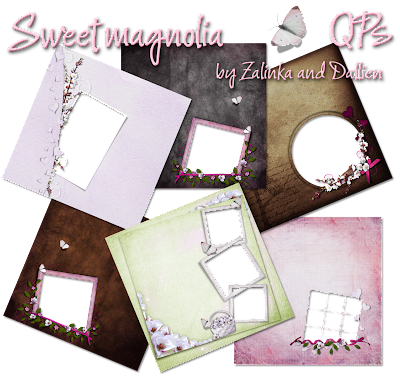 Another collab with Zalinka, this time with magnolia motive. Beautiful papers and Elements...Great work on this kit its abolutely beautiful..
It´s wonderfull! Thank you sooooo much! Gorgeous kit, great job! I love your work, it's always so pretty. Thanks so much for sharing your talent with me. Merci beaucoup, c'est magnifique. Bravo! votre travail est superbe. Bye...bye...and happy day. Thank you so much for this Freebie. I want to let you know that I posted a link to your blog in Creative Busy Hands Scrapbook Freebies Search List, under the Kit(s) post on May. 26, 2009. Thanks again. I'm sure I'll be murdering the spelling, but "Danke shane". The papers are gorgeous, and the elements are elegant but fun. This is a gorgeous kit, and I can't wait to use it. Thank you so much for sharing. OMG !! It's so wonderful !! Thank you very much ! 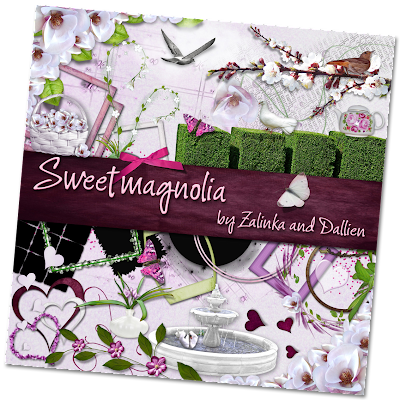 Very lovely, beautiful magnolia blossoms :) thank you for sharing! Absolutely beautiful kit!! Thank you so much for sharing this!! 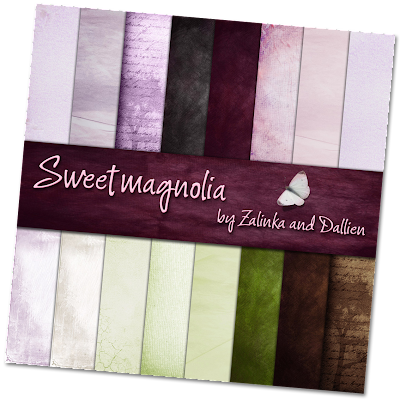 Being from North Carolina, I love Magnolias & you have definitely done their beauty justice with this wonderful kit!! I really adore your kit. It is indeed really beautiful. Thank you so much for your work. Love your kit all, thank you very much!! This is a beautiful kit as well as all the rest of your kits. Thank you for your generosity!